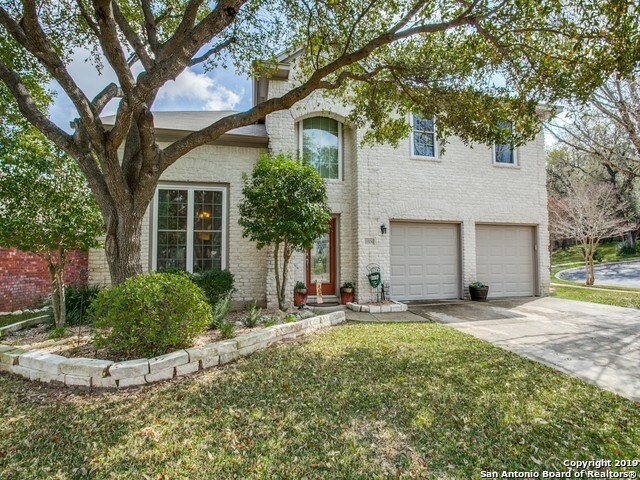 All OAKRIDGE POINTE homes currently listed for sale in San Antonio as of 04/24/2019 are shown below. You can change the search criteria at any time by pressing the 'Change Search' button below. "LOCATION!!! 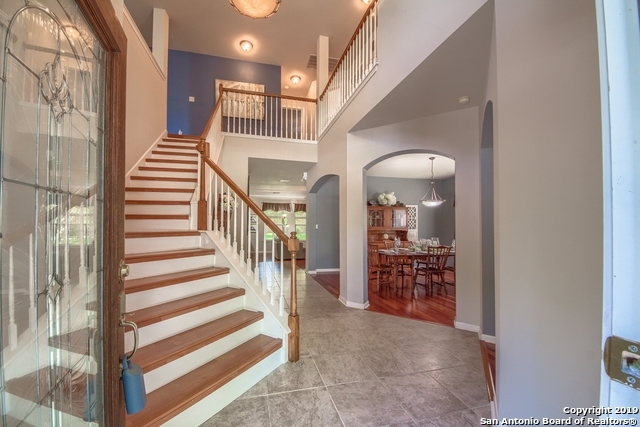 Wonderful open floor plan within walking distance to Elementary school & Pool. Sought after neighborhood!Open Kitchen w Stainless appliances, gorgeous granite, stunning island & Brkfst Bar. Spacious Living Area w Fantastic view of pretty backyard. 42 x 10 COVERED PATIO & PORCH- Perfect to cut the summer heat! Wood floors in liv, din & fam room. Nice Wood laminate upstairs in Gameroom and Master. New Carpet in other Bedrooms! 2017 New Roof , New ACs,& New sprinkler Cont, 2018 New Fenc"
"Your search for a carpet-free two story on a cul-de-sac in a gated community ends with this beautiful home. Beautifully maintained & updated: refreshed paint, energy efficient windows, modern flooring, water heater replaced 2018, full sprinkler system, this house has it all! Three bedrooms upstairs where the loft offers a convenient second living space (and storage). Open floor plan allows for easy entertaining. Office/study/guest room downstairs. Spacious yard & deck; across the street from com"